Free Printable Europe Maps. 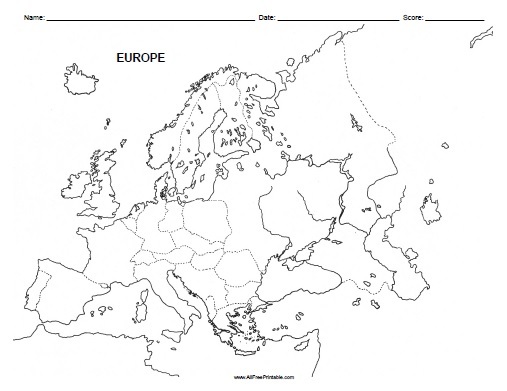 Free Printable Europe Maps that can help you for school, use as a quiz, study, projects, test, review, homework, reference and more. Print it free using your inkjet or laser printer. This is great free printable that teachers and tutors can use in every geography or history classroom to teach about Europe Countries. Use them for students at school or homeschooling. You can write student’s name, date and score. Select from 3 Europe Maps, Europe Blank Map, Europe Outline Map. Print all free Europe Maps here. Click the link below to download or print the free Europe Maps now in PDF format.